The 23rd. 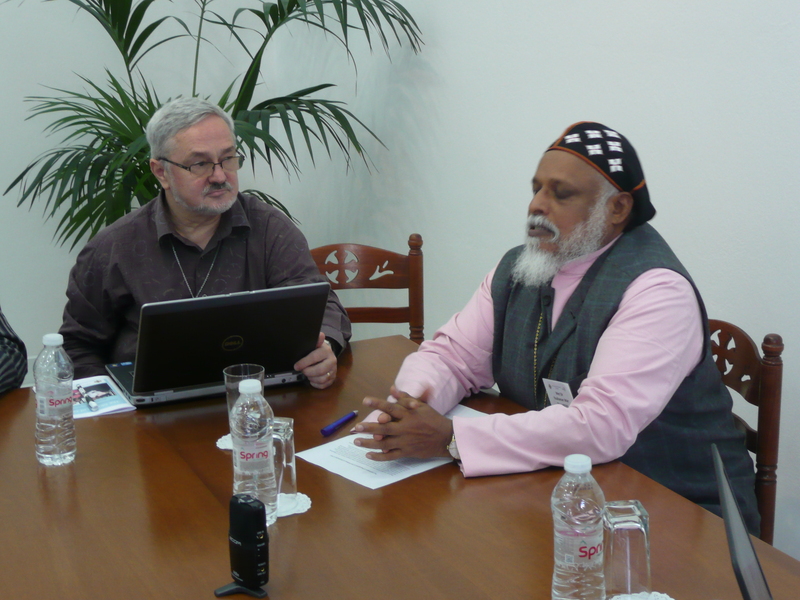 International Ecumenical Conference on Orthodox Spirituality, it has been announced, will be held at Bose, Switzerland from 9-12 September 2015 in collaboration with the Orthodox Churches. They will meet under the title “Mercy and forgiveness”, as chosen by the scientific committee of the ecumenical conferences, which met in Bose on 4-5 October 2014. They say, “The experience of evil, of the suffering that human beings inflict on one another seems to mark the human adventure from the very beginning. Yet God reveals himself as the God of mercy and compassion (Ex 34,5); mercy is the face of God that Jesus reveals to men. By interrogating Scripture, the fathers and the monastic tradition (Dorotheus of Gaza, John Climacus, Isaac of Nineveh, the saints of the Slavic, Greek, Romanian, Coptic traditions), the conference wishes to reflect on Christian forgiveness. This is a road that passes through the knowledge of one’s own sins and the acceptance of offered forgiveness. Some testimonies of mercy, disciples of Christ meek and humble of heart, will speak to us of the power and the prophetic force of forgiveness. Sharing perspectives, listening to the Word of God and the great tradition of the Orthodox Churches, the conference hopes to affront the questions that are asked of Christian hope. How can God’s pardon be announced today? How can wounded memory be healed? Where can the joy of forgiveness between Churches and between men be found? What are today the places of Christian forgiveness (spouses that separate, rebuilding trust after conflicts, re-composition of relations between persons and in communities)? The cross of the Messiah is the judgment that “does truth” on good and evil and opens the time and space of God’s mercy and his forgiveness. This is the forgiveness that Christians are called upon to receive and to transmit to their fellow brothers and sisters. Among the speakers we expect the official representatives of all the Orthodox Churches, of the Roman Catholic Church, the Church of England, Biblical scholars, patrologists, theologians, monks of the East and of the West, philosophers, and writers from all over the world. I just came across the September-October 2014 edition of Mission Frontiers the journal of the US Centre for World Mission (who were represented at our 2013 LOI consultation). This very interesting edition focuses on “Ethno-Doxology : Worship and Mission for the Global Church”. In a number of well researched and well written articles the contributors address the issue of the link between worship and mission and how one remains true to Scripture and Christian tradition whilst still offering worship to God which is contextually appropriate and accessible to people of very different cultures. My great surprise, however, was to discover that there seemed to be no reference to the Orthodox understanding of the missional nature of worship at all. Having read most of the contributions I could not believe this lack of reference to such a major stream of Christian experience so I did a word search. Sure enough when I entered the word “Orthodox” the result was “not found”! I share this in the hope that one of my Orthodox friends might be stimulated to read the articles (the whole edition can be downloaded here) and then write a response and send it to the editor. 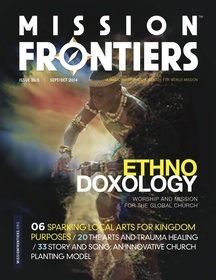 Please don’t understand me as being critical of this edition of Mission Frontiers, a journal I regard highly, for it has some very good articles in it …. but despite this I do think evangelicals need to listen to the Orthodox understanding of mission and worship. Stimulated by the two responses given to his paper when the LOI Initiative met in Albania last month, Dr. Elmer Theissen has now written a further contribution to the debate. On the final day at St. Vlash Dr. Theissen presented a challenging paper on the ethics of evangelism. This paper received appreciative but robust responses from Dr. Danut Manastireanu and His Eminence Metropolitan Dr. Youhanon Mar Demetrios followed by a lively debate. You can read Dr. Theissen’s reply here. If you would like to contribute further to this debate please send your responses to markoxbrow@aol.com for posting on our website. In the past few weeks, since 60 Evangelical and Orthodox leaders met in Albania for the second Lausanne-Orthodox Consultation on the theme “The Mission of God”, news of the event has slowly spread around the world. We are aware of reports appearing in India, the USA, Serbia, Finland, Romania and several other places. The Serbian Orthodox Church news service reported our activities on their website early this month and in Finland the Orthodox website Filantropia gave a full report. The Navigators have also reported on the event with a link to our full consultation communique whilst the Indian Orthodox Malankara Keralite Malayali Syrian Church website encourages readers to follow our website for more news. In the Middle East Linga have published news of the consultation in Arabic. We continue to look for new ways of sharing the good news of our positive encounters over the past two years.